In this little corner of the world wide web we love to discuss all things Irish. Ireland is in our hearts and in our souls. It captivates us like no other place on earth. 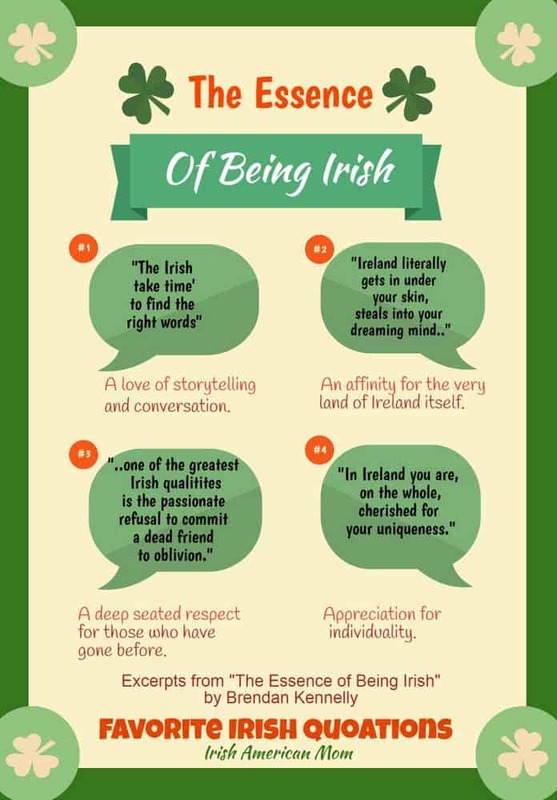 And so today, let’s delve a little deeper into what it means to be Irish, and see if we can touch a little on what “the essence of being Irish” really means. I am eternally grateful to readers of my website, who come back again and again to read my writings. It’s lovely to know I am not the only one intrigued by our Irishness. So together, let’s discover a little bit about the essence of being Irish. 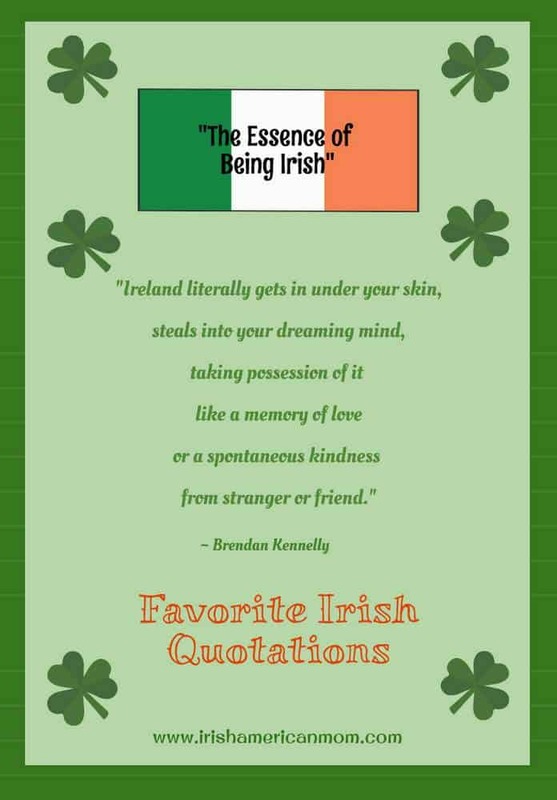 Inspiration for this post came from an essay written by Brendan Kennelly, an Irish poet and novelist. Born in 1936 in County Kerry, Kennelly was Professor of Modern Literature at my alma mater, Trinity College, Dublin until 2005. 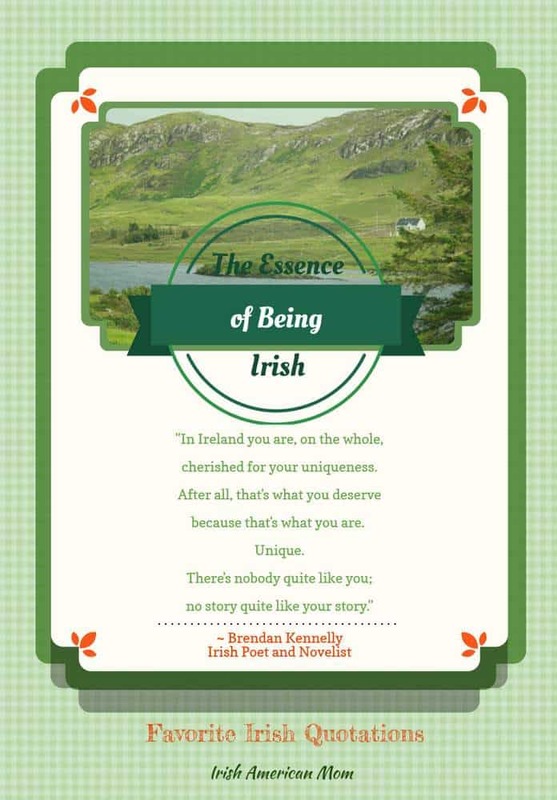 To help us explore our Irishness I will use a few quotations from Kennelly’s essay “The Essence of Being Irish.” His essay may be short, but the themes and thoughts expressed are deep and meaningful to a student of Irishness, like me. He gives voice to ideas I long to express through my blog. The entire island of Ireland has a unique identity. Mother Ireland has her own personality. It’s not only the people, who call Ireland home, who offer a hundred thousands welcomes, it is the very land itself. Despite an inclement climate, Ireland smiles through her fogs, her mists and her soft rains, calling to us from afar. Sometimes it feels as if the very rocks resonate with an energy only we Irish recognize. A trait that is core to the very essence of our Irishness is undoubtedly our love of conversation. A chat is never trivial in Ireland. I remember years ago when I worked in a nursing home in Florida, the administrator instituted a policy of scripting introductions and telephone responses, so that staff would know exactly what to say to customers and family members, whose loved ones resided in the home. I must confess my Irish psyche was shocked at the very thought there might be a need for such a rote, scripted policy. “How could anyone not know what to say when greeting someone at the front desk or on the phone?” I thought. And try as I might, my Irish tongue could never stick to the script. I couldn’t help myself. When on the phone or greeting people at the entrance, my poor Irish brain wandered off into the depths of small talk and conversation innate to my very Irish being. The nursing home administrator would just smile as he heard me rambling. And here’s the reason I had such difficulty sticking to the “have a nice day” scripted salutations …. Another reason for my inability to conform is probably related to my deep seated appreciation of individualism. Being unique is greatly prized in Ireland. Many years ago I drove my parents from Florida to New York. We passed rest stops, and highway exits over 1,000 miles of Interstate 95. After passing possibly the twentieth fast food restaurant belonging to the same chain, my father just sighed. And do you know something? I agreed with him. Alack and alas some of that same uniformity is creeping into Ireland, as large chain restaurants tap into what once was an untapped market. But overall we still embrace individuality in Ireland. We love to describe someone as “a great character,’ which means that person is one-of-a-kind, a person who never conforms, but speaks his or her mind with gusto. Trust me, Ireland is full of great characters, so-much-so, the topic may deserve a blog post all of its own. Here’s how Kennelly sums up this Irish love of individuality ..
My prayer for our young folk today, is that they will no longer be consumed with the overwhelming desire to conform. The “selfie generation” exists on both sides of the Atlantic. Today teenagers are obsessed with looking a certain way, constantly photographing themselves to prove their conformity to so-called friends. Help me, Lord. I have one more year before my eldest hits the teenage years. And one true Irish lesson I plan to teach him is to be himself, to forget about conformity, and to rejoice in his uniqueness. That my son, is part of our Irish heritage. Our Irish celebration of individuality even reaches beyond this life. If you have ever attended an Irish wake, you will understand what I mean. 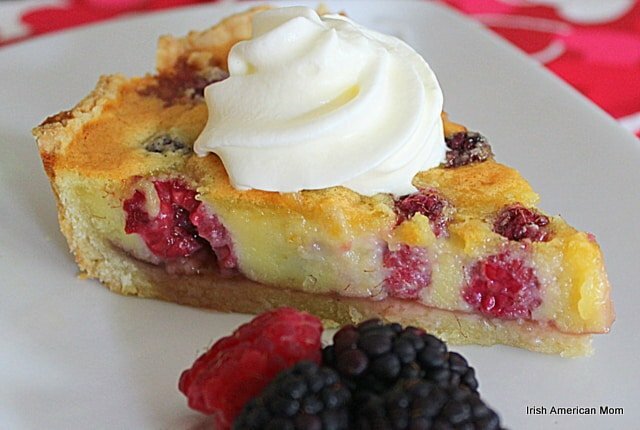 Irish wakes are not merely somber affairs, but a true remembrance of a person’s life and personality. They provide an opportunity to celebrate with others who knew and appreciated the individual. A scene of both sadness and joy, a wake not only marks the end of life, but the very life and the way it was lived is remembered and treasured. Here’s how Kennelly sums it up …. Yes, we Irish recognize and celebrate the good, the bad, the ugly and the unique in each and every one of us. And after a loved one has departed that memory is recounted and cherished through stories. And so, I hope you have enjoyed today’s little ramble, trying to sum up what the essence of being Irish truly is. I know this post has merely scraped the surface of this topic. the more fascinating it becomes. Thanks for joining me today on my further explorations of Ireland and our Irishness. And as always, this is a topic we definitely shall continue at a later date. I’ll file it under the subheading “The Irish Psyche,” together with all my other ramblings on this topic. Reference: I read Brendan Kennelly’s essay in The Irish: A Treasury of Art and Literature by Leslie Conlan Carola. What does it mean to be Irish? That my dear readers is the question I pose today, in my very first blog post of 2016. I believe this is the perfect year to explore our Irishness together as we celebrate the centenary of the 1916 Rising. 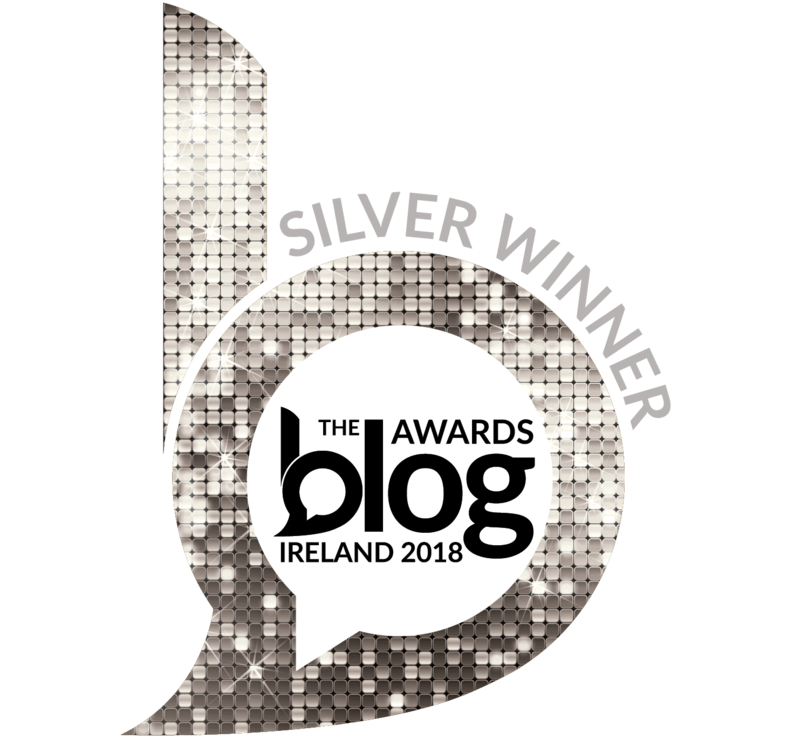 Let’s start off the year with a little foray into our Irishness by continuing my series of blog posts delving into the Irish Psyche. Perhaps uncovering the meaning of our Irishness is too great a task for any blogger to undertake, and it’s definitely a question that has no neat and tidy answer. But you know me!!!! …. I never shirk away from a difficult topic, and will not let my lack of psychological training deter me from going where no man has gone before…. 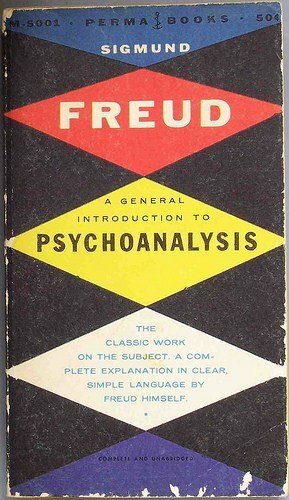 not even Freud …. deep inside the Irish psyche. So be forewarned…. this is no scientifically researched thesis on what it means to be Irish. This little rambling is based solely upon my experiences as an Irish woman, plowing through the University of Life. We know that we “Irish” are a complicated bunch, and trying to amalgamate our traits into easily identifiable, shared quirks and idiosyncrasies is probably a lunatic’s endeavor. But I am a Crazy Celt after all…. So together let’s delve into the forty shades of green that meld together creating our Irish identity. Whatsoever we personally believe it means to be Irish, there is one undeniable fact …. We Irish are deeply proud of being Irish. How many of us have seen our friends and loved ones wearing T-shirts adorned with the words ???? And a few of us have worn said T-shirts ourselves. But what exactly are we so proud of, that we feel compelled to let the world know of our Irish pride through the very clothes we wear? Domhnall Gleeson, an Irish actor, has reflected upon his Irish pride, but has also acknowledged that he does not understand what it really means to be Irish. 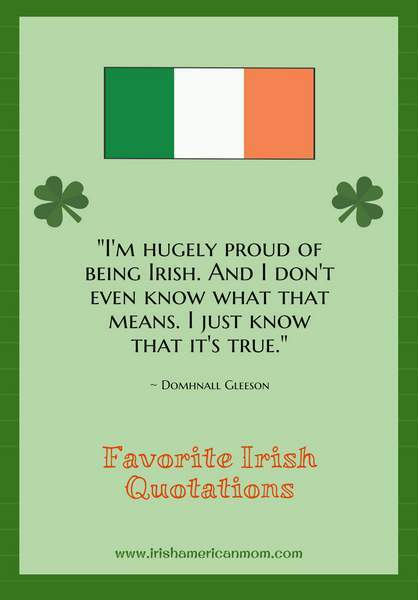 “I’m hugely proud of being Irish. And I don’t even know what that means. 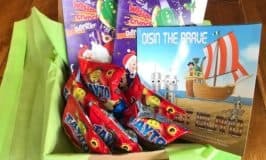 Do you know what Irish pride is? 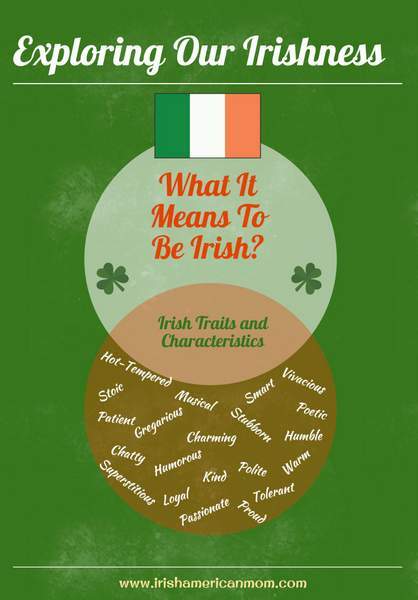 Do you know what your ‘Irishness’ means to you? But is being “Irish” something more than a birthright? Here’s what the actor, Colin Farrell, has shared on this topic…. “Being Irish is very much part of who I am. But if you consider his words closely, you realize Behan may have been onto something. Both the Irish and the Jewish people are ancient races, who have traveled the far reaches of the world, but who have not always been welcomed wherever they roamed. Through the ages, both peoples have remained connected with their kin and with their ancient homelands. They have proudly maintained those ties, because they are innately proud of their national identity, albeit a psychosis. The Irish and Jewish people are survivors, strong-willed and determined. Another Irish writer, Anne Enright, also identified the psychotic nature of our Irishness, and our acceptance of out-of-the ordinary behavior …. from crying into the dishes to full-blown psychosis. ~ Jennifer Armstrong from Becoming Mary Mehan. 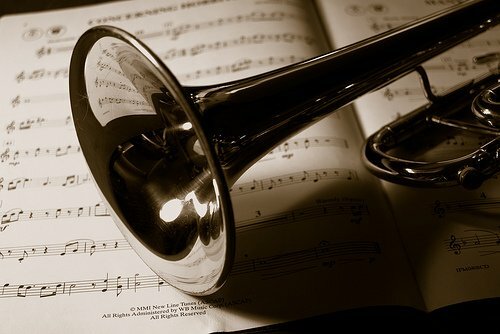 Have you ever found yourself tapping along to an Irish tune, or pounding the floor boards in a tribal dance as if declaring your Irishness to the world? And so I ask, what does being Irish mean to you? 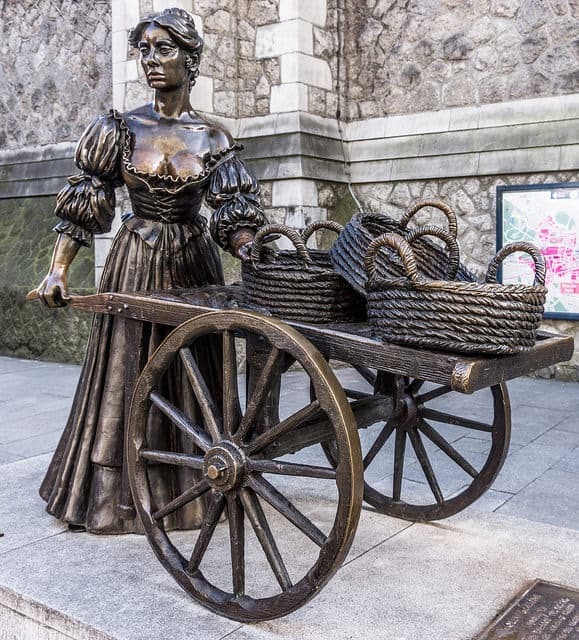 My sense of Irishness is embedded in memories of my childhood, growing up in Dublin in the 1960’s and ’70’s, with deep connections to an older Ireland, which I experienced when visiting my family in County Cork. I am intensely proud of Ireland, of its unique culture, its rich history, and its people who live all over the world. I love this description of ‘Irishness’ …. I know my Irishness is an innate sense of identity, I carry with me wherever I may roam. It’s an identity I wish to retain with pride, even though we all now live in a rapidly changing world. And so I have started this blogging year with the deep and complex topic of what it means to be Irish. This blog post is merely an introductory ramble. We have dipped our big toes into the great wide ocean of answers out there, but as the year progresses, we’ll hopefully swim a little deeper into this sea of Irishness. 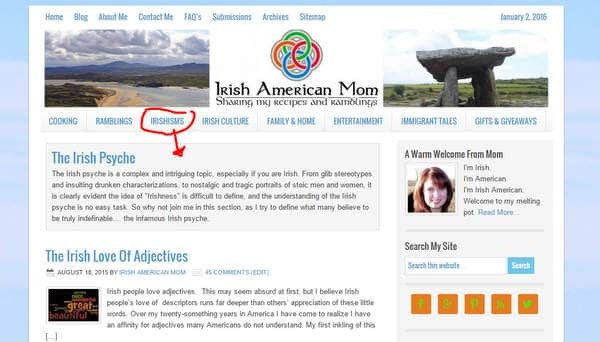 To follow along you can check out my subcategory “The Irish Psyche” which can be found in the drop down menu under the “Irishisms” subheading. All new blog posts on this topic will be filed right there. Why not join me on this journey in 2016? Stop by whenever you can, as we uncover our Irishness together. Ireland is a land of superstitions. Take it from me. I grew up surrounded by these superstitions. Pheasant feathers or lilac were never to be brought into my granny’s house. 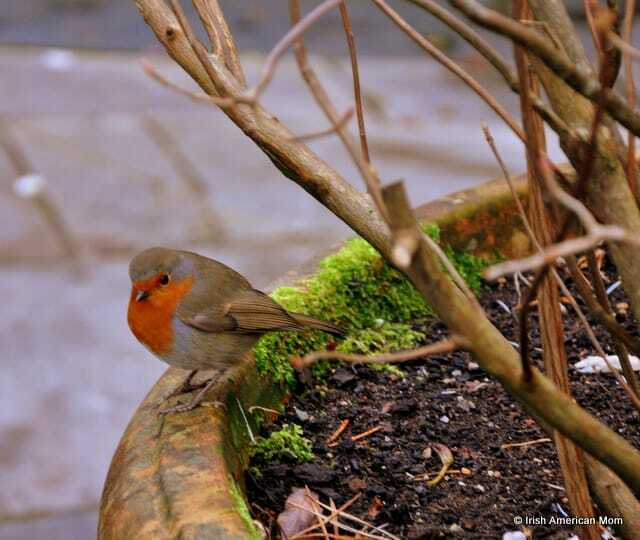 God forbid a robin landed on a window sill and flew indoors – he bore the news of imminent death. When visiting a house for the first time, we had to leave by the same door we entered. I could go on and on. 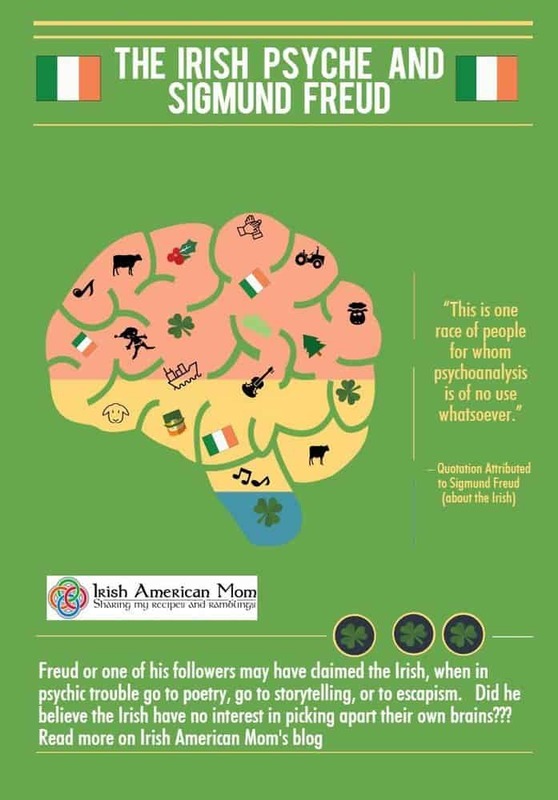 Although most Irish people today probably don’t believe in many of these superstitions, our Irish psyche holds a healthy respect for them. Abiding by the rules of ancient Irish life comes naturally to many of us. We adhere to an unwritten mythical code out of pure habit, automatically reenacting behavioral patterns learned in our childhood years. Why are the Irish so superstitious? In today’s post I hope to explore some of the reasons why I believe the Irish seem to be consumed by irrational fears and beliefs. 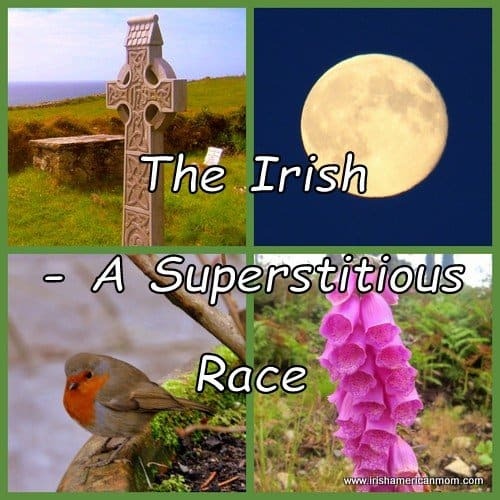 Listing all of our crazy superstitions is a job for another day, and probably fodder for a whole collection of blog posts, so instead let’s try to focus on the great big why surrounding Celtic faith in the supernatural. Superstitions are beliefs based on myth, magic, or irrational thoughts, that are not based upon reason and knowledge. Superstitions are intrinsically tied to traditional folklore, and let’s face it, Ireland is a country steeped in legends and myths with a vast array of characters from faeries to changelings, to wily leprechauns. The exact origins of many old superstitions may never by known, but they do appear to be an odd mixture of paganism, Christianity, and folklore, and deeply influenced by social history. 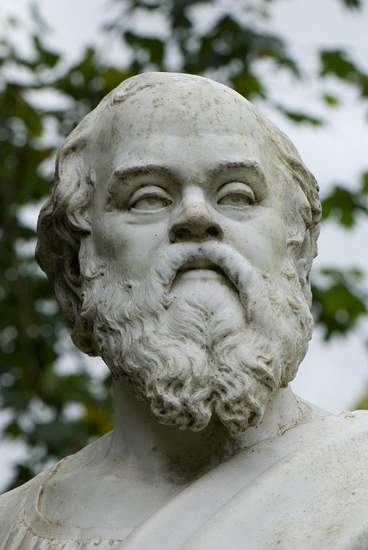 Human nature is such that we always search for a cause for things we cannot understand. That desire to figure things out is the root of all scientific progress, but on our journey in search of answers, many wrong conclusions have been reached. When searching for a reason for things beyond their comprehension our ancestors explained situations as best they could, albeit their answers were steeped in mythical origins. The wrong answer was deemed better, than no answer at all. Coincidence or a greater force at work? Sometimes unhappy coincidences reoccurred frequently enough for a blind link to be acknowledged, and a superstition to become enshrined in the general belief system of a community. Irish superstitions are ultimately concerned with addressing the helplessness of the human condition. 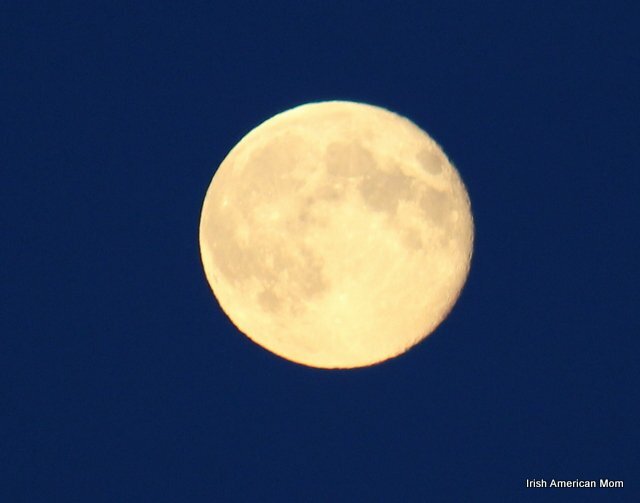 In times of trouble, and there were plenty such times for the Irish in centuries past, our ancestors turned to old superstitions which may or may not have helped them at all. This blind faith in haphazard cures and beliefs probably brought comfort and hope to those who felt helpless. Whether the warding off of ill luck was real or imagined, at least reassurance lay in attempting to control these evils. 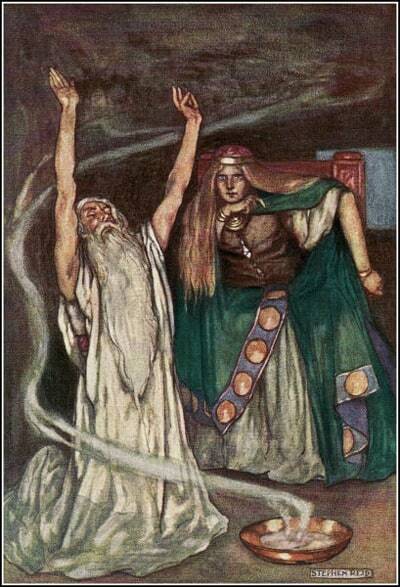 Ireland remained under the influence of Druidic teachings far longer than any other European nation. This can be attributed to the island’s remoteness on the western edge of the continent, and its freedom from Roman conquest. When early missionaries converted the Irish to Christianity they did so with minimal conflict, adopting a creed of tolerance for the old way of life. No persecutions are recorded. Rather than destroying sites of ancient worship, the new church transformed them into shrines of prayer and centers of worship by associating them with a saint. This policy of tolerance for old Druidic superstitions may account for their survival. The Irish have clung to the ancient customs of their forefathers for thousands of years. An enduring belief in a fairy race may be traced back to the time of the druids. The Penal Laws were statutes passed by the English parliament to penalize the Irish for their Catholicism. First written in 1695, the Irish suffered their consequences for more than 100 years. A number of these laws excluded Catholics from working in any field of scientific study, thereby limiting our ability to rationalize some of these old beliefs. Irish Catholic children were forbidden to attend school. Scholars and poets taught young Irish people in clandestine hedgerow schools, with curricular emphasis placed upon passing the legends and myths of ancient Celtic culture to the next generation. Irish belief in the supernatural was thereby strengthened. The Penal Laws were enacted because Catholics were deemed to be superstitious and idolatrous by their Anglican rulers. I believe the Irish solidified their superstitious practices out of pure stubbornness, and in direct defiance of the laws designed to curtail them. If you tell an Irishman he cannot do something, then rest assured he will die doing it. Are the Irish more superstitious than other cultures? “…. for everyone is a visionary, if you scratch him deep enough. 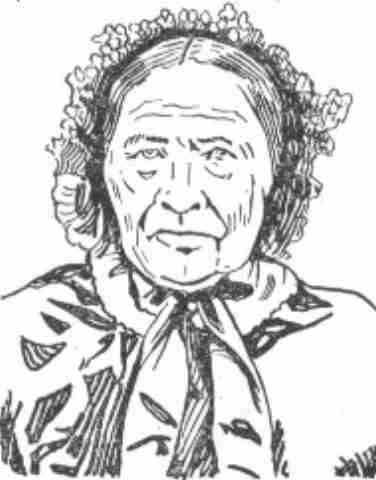 He also observed the peculiar, contradictory belief system of an old woman he met in the west of Ireland. she did not believe either in hell or in ghosts. Why do superstitions live on? In light of all the scientific evidence that exists today to debunk these superstitions, why do old Irish superstitions live on? I don’t think there is a person alive with a drop of Celtic blood who can categorically deny they harbor an innate respect for some old wive’s tale. Well, perhaps we don’t truly believe in all those omens of bad luck, but at the same time we wouldn’t dare change the original name of a boat, nor move house on a Saturday. I think this adherence to an old superstitious code comes from a reverence for the past. We recognize that these old beliefs have been handed down to us from many generations that have gone before us. By sticking to their old code of mythical behavior, we acknowledge their legacy, and let the spirits know we understand the influences that helped shape their lives. 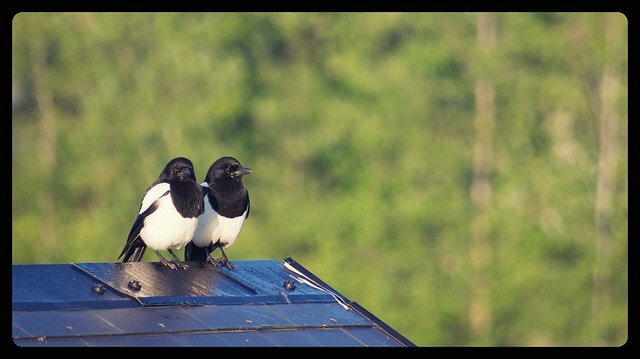 Because God between us and all harm, who knows what might happen if we blatantly went around the place ignoring flocks of magpies desperately trying to let us know if any luck might be in store for us.